How Does SEO Work and Why Use It? The holy grail for most businesses in terms of online presence is the number one slot in the natural results on Google for the search terms that are most relevant to their business. Very few are able to achieve this at a national or international level, but for those that can, the rewards can be huge. Having achieved an acceptable result on the natural (as opposed to ‘paid’) search results, the traffic to to your website is free. Of course it isn’t free, the work to achieve those ‘natural’ results may have cost thousands of pounds and the chances are that if you stop that process once you reach the top, others will overtake you. So the expense is likely to continue, you are just paying for it in a different way to the alternative ‘Paid’ listings. Many would argue that there is more value in a high natural presence than a paid listing, as people pay more attention to these. Others might argue that unless there are no paid adverts for that search your natural result will never actually be the first thing the searcher sees. Both can achieve significant returns. In some cases SEO may be more cost effective than PPC in the longer term (though not always) and it should always seriously considered as part of your long term strategy. But what exactly is SEO? Search Engine Optimisation may be described by some as an attempt to influence the search engines decision as to which website (or more accurately, which page of which website) is the most relevant and useful result for any given search. Others might say that is more about ensuring you comply with everything search engines expect of a website to give your pages the best chance to rank well for your target search terms. Therein lies the difference in approach between some SEO practitioners and others. When should you start your SEO? Most people would say when the website is being built and there are certainly some aspects of SEO (such as the format of the site itself) that need to be addressed at the outset. 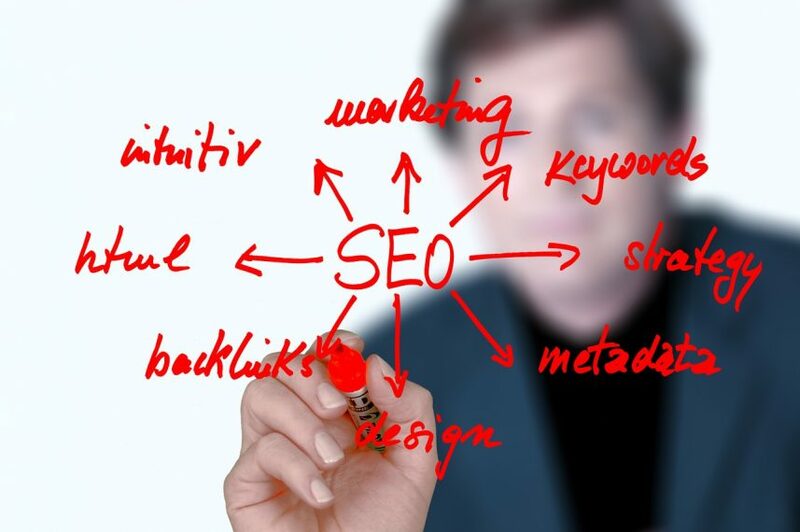 However, the keyword strategy behind your SEO should not be implemented too quickly. Given that the number of keywords you can effectively optimise any page of your website for is limited to some degree, getting the keyword strategy right is vital. If this is done when the site is being built, what are you basing that strategy on? In most cases, the keywords you think are most important and perhaps stats from a keyword tool to tell you which terms have the highest search volume. That’s not the way to determine the most effective keywords for your business. That can only be achieved by driving traffic from all likely keywords to your website, tracking and analysing the results and determining which keywords produce sales/enquiries, rather than volume traffic. Luckily, this can be done using PPC almost instantly, giving you a solid basis for longer term SEO. The other reason to delay major commitment to SEO until you have trialled with PPC is equally important. Until you have driven traffic to your site in sufficient numbers, you don’t know if your website is capable of turning visitors into business. Harsh as it may sound, until you have proved you can do that, embarking on a long term SEO strategy is a bit of a waste of budget. Who does what in SEO? Your web designer may/or may not be responsible for much of the ‘on site’ elements of SEO, such as creating the site in a search engine friendly format, adding meta titles and meta descriptions to each page, etc. This really does depend on the web designer, their experience of SEO and the way they cost their work. Some may offer SEO services, but at an additional cost, some may not want to get involved in SEO at all. It doesn’t really matter which type of web designer yours is, what matters is that you know what they will be doing, what they won’t and what they will be charging for it. We work with a number of web designers to fill this gap. An assumption that everything is being done that needs to be done is often dangerous and any business owner needs to be very clear about who is doing what during the SEO process. How long is a piece of string? It depends on what the starting point is, from a new website to an established site that is having a makeover and needs some further SEO work. The number of keywords you need to optimise for will be a factor. The type of business and the level of online competition for key phrases makes a difference to the amount of work required and therefore the cost. Elements such as content writing may be done by the client or may need to be outsourced and budgeted for within the SEO project. It is fair to say that it is usually easier to find more work to do on SEO than it is to find the budget to fund it. So one key element is effectively prioritising where best to spend whatever the available SEO budget is. Dan Smale is the Managing Director of The Client Factory, Digital Marketing and SEO Agency, Devon.